At the public hearing on the Petroleum Industry Bill (PIB) held last Thursday, July 17, 2013, the Governor of Niger State, Babangida Aliyu, represented by the Attorney General of Niger State and his Kaduna State counterpart also represented by the state’s Commissioner for Justice urged the National Assembly to expunge the Host Community Fund from the current draft of the bill before the National Assembly. 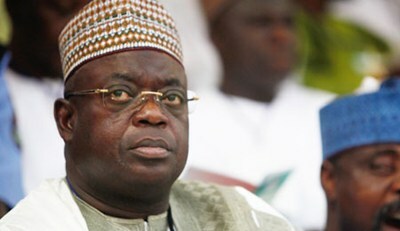 Topping the Niger State’s list of concerns are the powers of the minister, the Host Community Fund and the governance structure of the three commercial entities – the National Oil Company, the National Gas Company and the National Petroleum Asset Management Company – proposed to replace the Nigerian National Petroleum Corporation (NNPC). On the minister’s powers, Niger State government recommended that effective governance of the industry should be anchored on strong institutions and workable frameworks. The Minister’s absolute power of oversight on all agencies to be established pursuant to the Act, including the power to appoint the Board members of those agencies offends the Bill’s aspiration to build strong institutions and usher in a sustainable reform program in the Nigerian oil and gas sector. Confining too much power in one office is not just improper, but is also capable of stalling the Bill’s overall reform objectives. Regarding the Host Community Fund,the oil producing communities predominantly in the Niger Delta region are already benefitting from a number of similarly-crafted initiatives aimed at facilitating the rapid and sustainable development of the region. The Niger Delta Development Commission (NDDC), the 13% derivation formula, the Amnesty program, the Niger Delta Ministry and a host of oil company corporate social responsibility initiatives are examples of existing development interventions currently enjoyed by oil producing communities. Therefore, introducing the PHC Fund will confer undue economic advantage on oil producing states, to the detriment of other underdeveloped, less-endowed states in Nigeria. Regulatory and commercial entities: There is need to ensure transparency and clarity in the governance structure of the new entities and agencies to be established. A greater level of clarity is necessary in order to ascertain where decision-making power and accountability lie. Consistent with the federal character, steps must be taken to ensure that all the states of the federation enjoy fair and equal representation in all the appointments and recruitments made into the governance bodies of the new agencies and commercial bodies. Such national representation would be guaranteed if the National Assembly takes over the power to appoint the Board members of the various entities from the Petroleum Minister. In addition to the above, the upstream and downstream sectors of the industry should be governed by two separate legal regimes instead of lumping them into a single voluminous legislation. Towing the same line with his Niger State counterpart, the Attorney General of Kaduna State, representing the Kaduna State government, strongly condemned the Host Community Fund for its propensity to alienate other parts of the country. He requested the Nigerian parliament to expunge the entire sections of the Bill relating to the Host Community Fund. Secondly, on the issue of the excessive powers of the minister, reducing the Petroleum Technical Bureau to a unit under the Minister’s office would not be in the best interest of the industry. For the Bureau to achieve its aims of infusing technical capacity into the Ministry of Petroleum Resources and other agencies, it needs to be autonomous and removed from the minister’s grip.